C1693. DIMITRI MITROPOULOS Cond. 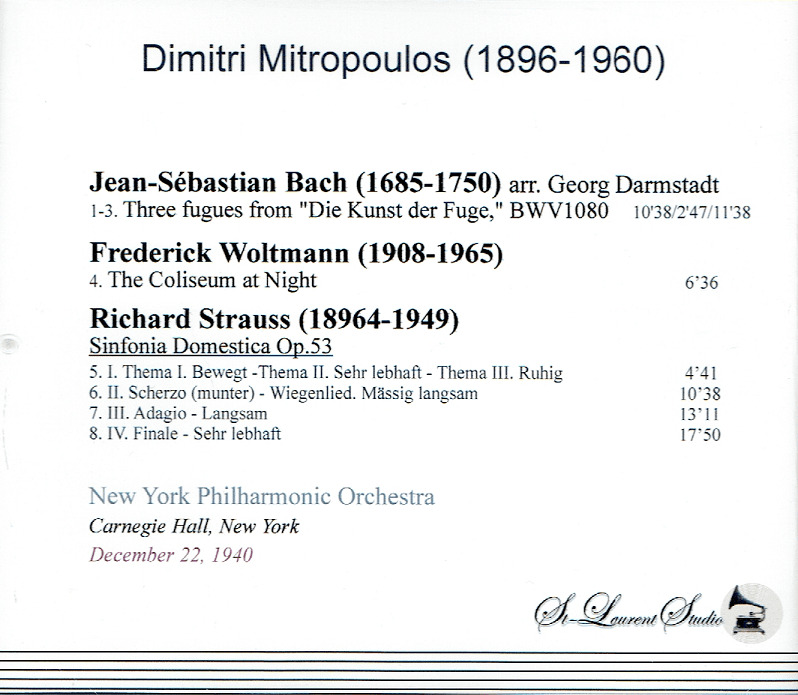 NYPO: Die Kunst der Fuge - Three Fugues (Bach); The Coliseum at Night (Woltmann) [Woltmann studied at Columbia University, then at the Eastman School of Music with Bernard Rogers and Howard Hanson. In 1937 he received a Juilliard Fellowship to the American Academy in Rome (Prix de Rome). 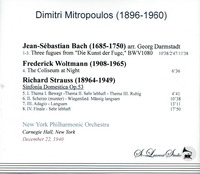 He composed many orchestral and choral works performed by the New York Philharmonic, the Philadelphia Orchestra, and many others]; Sinfonia Domestica (Strauss). 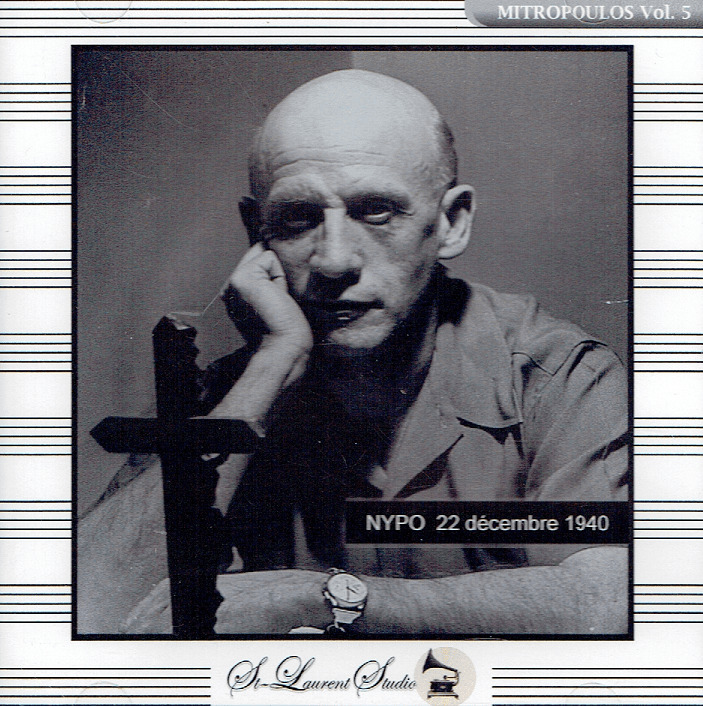 (Canada) St Laurent Studio YSL T-651, Live Performance, 22 Dec., 1940, Carnegie Hall. Transfers by Yves St Laurent.